... by the "Whiny Wenches of the Left"
Ocasio - Too young to know anything other than her progressive "programming"? Ben Shapiro : "Things could get a lot worse..."
"The Future of the Democratic party is NOT civility"
"We need fresh faces... People focused on working people"
Yup. So get lost, you tired old guy. Trump was a fresh face, and he spoke about Real issues and jobs. But a progressive Democrat insiders are calling "the female Barack Obama" is secretly preparing to run for President in 2020. Making matters worse, there's a new, incredibly powerful hidden force in our country that virtually guarantees she'll win in 2020. According to one expert (who predicted the bankruptcy of Fannie Mae and Freddie Mac)... the steps she'll take during her first 100 days in office will send our nation into one of the worst financial crises in history. It will also disrupt your current source of income — whether it's Social Security... a pension... dividends... annuity... or even a salary, if you're still working. "You must begin preparing now. So that when these economic disasters start to take place, you and your family will get through it safely." Click here for the full story — including the steps he recommends you take today. Our next president will proudly proclaim her socialistic, "social justice" roots, and will offer our fellow citizens more handouts than every other president, combined. Ordinarily someone this radical wouldn't have any chance at being elected. But, there's a new, incredibly powerful hidden force, in our country. I'll explain in just a minute. This new political force virtually guarantees she'll win. Once you understand this hidden force and who's behind it… you'll see why 83 million Americans will support her, and launch the largest grassroots campaign in political history to put her in the White House.
. . . To expose the hidden force that will guarantee a candidate (we call her "worse than Oprah") a near-100% chance of winning the 2020 Election; to share with you the disturbing facts I've discovered about what our next U.S. President means for you and your money. You probably aren't thinking about what might happen in Washington next. After all, Trump has cut our taxes. He's rolling back regulation. And the economy is booming. But… do you really think any of these things is going to last?
. . . She's currently peddling a new book that describes her underdog story and political agenda, just like Obama did before his campaign. And she's assembling a campaign team of former Clinton aides. She's headlining sold-out political fundraising events, raising millions of dollars for the Democratic party… and is already appearing on talk shows to discuss a potential run for president in 2020. Her announcement to run could come any day now. This ever-widening gap is the #1 problem facing the American economy today. What's behind this massive income gap? In short, we're working longer, harder, and smarter… but paychecks don't seem to be getting any bigger for the average American. After the Great Depression, productivity and income moved hand in hand. In other words, today's workers make LESS in real wages than previous generations… while producing more than ever.
. . . In short: When workers are making less money, they use up more of their income to get by… spending money they don't have. Which is one reason why 78% of the U.S. population now lives paycheck to paycheck, with essentially zero savings. It's a vicious cycle. 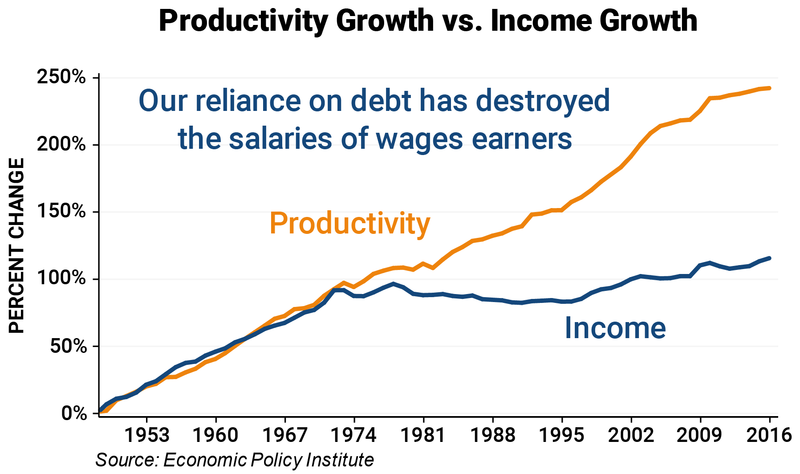 Lower wages leads to piling on more and more debt, which traps workers into dead-end careers making less and less in real wages each year, which leads to even more debt. And yet, as this cycle continues to repeat, the rich continue to grow richer. The money accumulates to those at the very top—and continues to grow because they're more likely to be the owners and investors who benefit from increases in productivity. They own 84% of the entire stock market, too. Compared to the bottom 50% of Americans, who together own 0.5% of the market. And it's why in just the past 10 years, household net worth has jumped nearly 30% for the top 10%—while every other income group is poorer. In fact, the wealth gap in America today is worse than in third-world countries like Rwanda and South Sudan. This is what the 2020 Election will be all about.
. . . millions of college-educated Millennials are stuck working jobs for which they're overqualified. And because of stagnant wages, they're making on average 20% less than we were paid for the same work, at the same age. Because of this, Millennials have delayed major life events like getting married or having children at the highest rate of any generation in U.S. history. And perhaps the scariest thing is… more than half of Millennials have less than $1,000 in savings. As their wages fell, the cost of living soared. Today, the average young American spends half his paycheck or more on rent. Health insurance premiums have more than doubled since Obamacare. And even though half of Millennials have to work two jobs, most are really only getting by with debt. The average Millennial now owes more than $60,000, including auto loans and credit cards. And they're drowning – with no escape in sight. For Millennials, the American Dream is dead. And their long-term future isn't any brighter. Best-case scenario, they'll retire at 75. Even then, it's unlikely they'll ever see a dime from Social Security. Unless something big changes, this will be the first generation in modern American history to end up worse off than their parents. The two-thirds of Millennials who never went to college are even worse off. In fact, from 1979 to 2015, the poverty rate among young Americans without a college degree has more than tripled. An estimated 7 million able-bodied Millennial men have completely dropped out of the workforce, no longer even looking for a job. Which is why Millennials are about to help launch the nastiest presidential campaign in history. Free healthcare. Free college. Free everything! By making radical promises like this, the Democratic candidate in 2020 is virtually guaranteed to win. At one point in 2016, Bernie Sanders had as much as 84% of the Millennial vote. Altogether, he received more primary votes from this age group than Clinton and Trump combined. And what do Millennials want? My money is on the woman at the top, Kamala Harris – who we call “Worse Than Oprah.” Or just WTO for short. But that doesn't matter. They're all the same. Each one will likely run on the exact same socialist platform I'm about to share with you. Because the only way you get hopeless, debt-burdened young people to show up and vote for you is simple: By making the most radical promises we've ever seen in American politics. According to them, this economy they've inherited is YOUR fault. So please pay close attention to what I'm telling you. As far as I can tell, nobody else has gone through this worse than Oprah politician's track record, and figured out what she is capable of. Nobody else is concerned yet about this massive new block of voters… and the promises that would speak directly to what they're feeling. And nobody else has put these two together, warning just how dangerous this combination would be for our country. Behind all the rhetoric and promises this candidate is going to make in the coming weeks and months are economic realities. In short, the only way any candidate will win the 2020 Election is by mobilizing Millennial voters. Which is exactly what I believe will happen. You see, most people don't realize this, but there really is a secret reason Trump won the 2016 Election. It wasn't Russian collusion… or an “unfair” Electoral College system. It was simply because 1 million Millennial voters stayed home, refusing to vote for either Trump or Hillary. Had Hillary made the right promises to target this demographic… she could've easily swung the election in her favor. The 2020 Jubilee would ultimately erase trillions of dollars of debt held by Millennials. Folks like Carmen Reinhart of Harvard University and Stephen Roach of Yale. A debt Jubilee for the masses—wiping the slate clean for millions of the most indebted Americans—is practically inevitable. It's the easiest way for a President to “level the playing field” for Millennials, in one swift move. I bet the first thing the next President does after taking the Oath of Office is wipe clean the $1.4 trillion Millennials owe in college debt. If you thought Obamacare was a train wreck you're in for a treat. The pendulum is about to swing back to the radical ideas of Bernie Sanders. What do you think would happen to this law once she's in the White House? This plan would eliminate deductibles, copays, and premiums for anyone who needs coverage. Eventually replacing private insurance companies altogether. 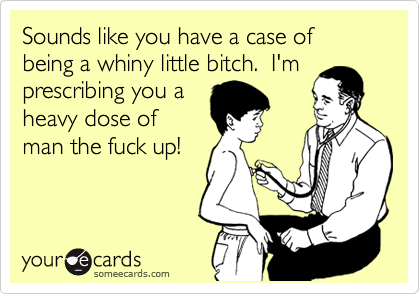 Get your checkbook out. Because this could boost your income tax as high as 52%. Now look, there's no doubt the healthcare industry needs to be fixed. Health spending shouldn't equal 18% of the United States' GDP. I'm talking about a brand-new nationwide welfare program. Where every American, regardless of age, race, employment status, or net worth will receive a monthly check directly from the government. It's effectively Social Security for everyone. Monthly cash payments to every citizen, with no strings attached. This free money machine is the equivalent of adding a zero to all the currency bills and declaring that everyone is ten times wealthier now. But as we've seen (and history shows), all that happens is a $5 loaf of bread is repriced to $50. Yet would you believe that roughly half the country already supports this idea? Today, the U.S. spends $1 trillion, through more than 80 socialized programs, to “help out” low-income individuals. According to some estimates, Universal Basic Income would cost as much as $4.3 trillion a year—more than quadruple the amount we spend on entitlement programs today. But our federal government is 100% tapped out. There's not a penny available for a program like this. 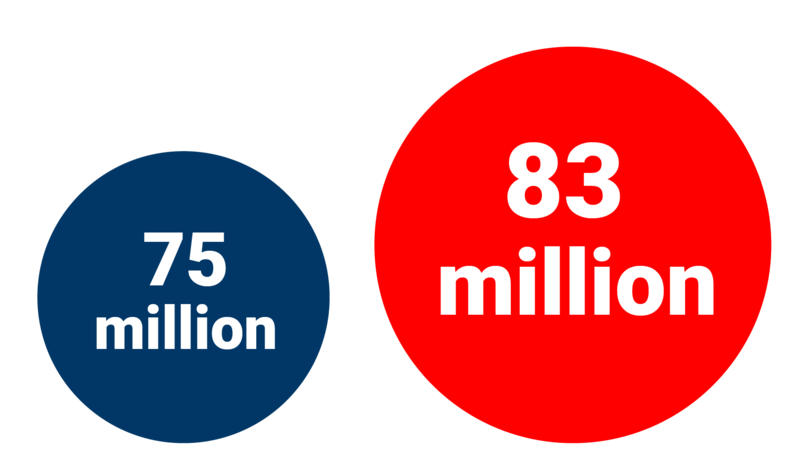 We've already had to borrow nearly $1 trillion in 2018—just to cover the federal government's spending. Adding more and more every year to the $21 trillion in outstanding U.S. government debt. Within 5 years the interest alone on this debt will eclipse the massive amount of money we spend on the U.S. military. There's simply no more money available. So a program like this would be a huge, huge hit to the economy. It will crush businesses, the stock market, and have far-reaching impacts on the way of life we've enjoyed for decades. WHAT HAPPENS when A Majority of Voters decide that they Like these Promises? I will wipe out your student debt. I will cover your healthcare bills. I will solve America's massive income inequality with stable monthly checks. And Millennials will eat it up. Heck, half the young people in America today no longer believe in capitalism, according to a recent Harvard poll. Some will even tell you the reason they're not saving for retirement is because they think capitalism will be gone by the time they retire. In short, the Progressive platform for 2020 will be the beginning of the end of America as we know it. These programs will destroy our country and our economy. So you better be ready. It will cause inflation to skyrocket out of control. It will send yields higher… crippling the bond market, and sending stocks plummeting—50% or more. + The First Warning Sign happened in December 2017 in Alabama, with Democrat Doug Jones's surprise defeat of Republican Roy Moore. Alabama has voted Republican for the past 10 Presidential Elections. The state voted for Trump in 2016. So it should have been a “sure thing” for the Republican candidate, after receiving Trump's endorsement. But it wasn't… for one reason. Millennials showed up to vote. They didn't even like the Democrat candidate. But enough of them disliked the Republican candidate that they showed up in large enough numbers to sway an entire election. + The Second Warning Sign appeared in March… during a Congressional election in Pennsylvania. Democrat Conor Lamb defeated Republican Rick Saccone. + This Third Warning Sign has not yet come to pass… but once it does, watch out. It involves the 2018 Midterm Election… and a scary role Millennials will play. And it will send the clearest signal to date that trouble is brewing for the 2020 Presidential Election. 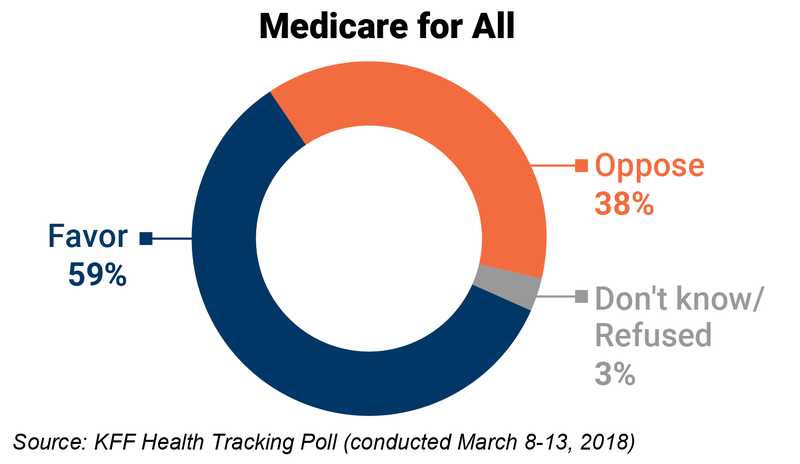 In short, Millennials now have the majority voice in whether or not a national Debt Jubilee is declared… whether Socialized Medicine is enacted… and whether Universal Basic Income becomes reality. You see, when the rich—a very small percentage of the population—get in trouble with debt, it's an economic problem. But when the poor and middle class—a huge percentage of the population—get in trouble with debt, it's a political problem. The fury coming from the hard-left will hurt them at the polls if “they cannot harness the fury,” The Times writes, quoting Democrat politicians. The Times rightfully notes that there is a growing demand from the hard-left to lure the Democrats away from corporate America — they are Socialists and Communists after all. What worries some Democratic elders, though, is that activists will harbor unrealistic expectations of what sort of policies newly elected progressive lawmakers can push through in a still-divided capital. At least one Democrat representative from Louisiana said he wished there was a more moderate influence to counter Bernie Sanders. Democrats are “scared”, he said. The loss of power in the unions weakens them greatly. It’s a big slush fund for them. Democrats aren’t trying to disavow the hard-left. Instead, they are becoming the hard-left. How much of the Origin Story is true? The far-left group that grew out of Bernie Sanders's 2016 presidential run recorded its biggest victory last week with Alexandria Ocasio-Cortez's surprise primary win over Democrat representative Joe Crowley (N.Y.). They say it's just the start of its takeover of the party. Ocasio, a socialist who ran a strong campaign focused on far-left policies such as universal health care, a federal jobs guarantee, housing as a human right, and abolishing ICE, defeated Crowley, a top House Democrat, by 15 points on Tuesday. Ocasio-Cortez was an organizer for Sanders's 2016 campaign and was part of a group of candidates associated with Justice Democrats, a group launched by Sanders campaign alums with aim to transform the Democratic Party. The group says Tuesday's victory was its breakthrough moment, and it is seeing signs of more victories to come. "There's a moment when things shift," said Corbin Trent, who led the Sanders campaign in Tennessee and now heads communications for Justice Democrats. "This is that moment." Trent says there is a new energy among both its candidates and supporters since the win, with people taking note that if you put the same work in as Ocasio and her campaign, you can be the next upset. "When you keep beating your head against the wall, once you finally hear a crack you finally feel better about doing it," Trent said. "Just from watching our email and donations coming in to Ocasio and our Democrats across the board, this is an invigorating moment." Trent acknowledged that winning on their platform in one of the country's most racially diverse and liberal districts is a different ball game than winning elsewhere, but said it wasn't just the Latino vote that carried Ocasio. "When people see the autopsy of the results, they'll see it wasn't just Latinos," he said. "The primary electorate doesn't match the demographics overall, period." Asked whether he thinks the result could be replicated elsewhere, he was confident their platform would be received well by Democrats across the country and said it would be put to the test soon. "To really test your question whether this platform can work in a less diverse district, the two candidates to watch will be Brent Welder and James Thompson, who are running in Kansas on a very similar platform," he said. "That's where our resources will be headed next." How will Auntie Maxine's army of Angry young women fare? From the perspective of some House Democrats, Rep. Maxine Waters (D-Calif.) has the right message. She’s just not always the best messenger. The Los Angeles lawmaker’s early calls for President Trump’s impeachment and viral showdowns with administration officials have endeared Waters to the party’s young, liberal base. And those stances have also garnered the respect of many House Democrats, who admire how Waters, 79, sticks to her political convictions. President Trump on Tuesday predicted that Rep. Maxine Waters's (D-Calif.) "ranting and raving" about his administration would drive people away from the Democratic Party, repeating his assertion that the California lawmaker is becoming the "face" of the party. "Crazy Maxine Waters, said by some to be one of the most corrupt people in politics, is rapidly becoming, together with Nancy Pelosi, the FACE of the Democrat Party," Trump tweeted. "Her ranting and raving, even referring to herself as a wounded animal, will make people flee the Democrats!" Sen. Bernie Sanders (I-Vt.) isn’t extreme enough for the far-left, according to a Democratic writer. Sanders, it seems, was used as a transition to get left-leaning Americans to embrace socialism, and now his usefulness is declining among the far-left. The self-described “democratic socialist” doesn’t fully embrace his ideology because he stops short of demanding the “nationalization of private industries,” Jones writes. Other leftists share Jones’ sentiment, blasting Sanders over the past week for not demanding the end of Immigration and Customs Enforcement. Harvard Law professor and Fox News contributor Alan Dershowitz warned the Democratic Party it’s going to lose his support as well as the midterm and presidential elections if candidates like Alexandria Ocasio-Cortez and Bernie Sanders keep winning. “I want to make sure that the radical Left, the woman who got elected in the Bronx and Queens to Congress on the Democratic ticket, that they and Sanders and others don’t represent the Democratic Party. I want a fight within the Democratic Party to restore it to the days when it was a great centrist party, when it united people rather than divided people,” he added, referring to socialist Ocasio-Cortez pulling off a stunning defeat of incumbent Democratic Rep. Joseph Crowley, a 20-year veteran of Congress, in last week’s primaries. Despite being a staunch defender of President Trump, Dershowitz says he isn’t yet planning his exit from the Democratic Party. “I will remain a Democrat as long as there’s some chance the Democratic Party can return to normalcy,” Dershowitz said. Tom Perez, the Big Labor Establishment-backed Democratic National Committee Chairman, declared that the upstart Berniecrat, Bronx-native Alexandria Ocasio-Cortez was the future of the Democratic Party. She rocketed to the forefront of Democratic politics when she had trounced liberal Democratic House leader Joe Crowley 57%-43% in a Democratic primary upset. She’s young, a minority, and energizing to the Left. She also opposes secure borders, wants Medicare for all, demands the abolition ICE, and she calls housing “a right.” In other words, she’s a socialist. As expected, the liberal press, including The Nation, wrote a glowing review of this self-avowed Democratic Socialist Millennial of Puerto Rican descent who campaigned hard for Bernie Sanders in 2016. The likely reason why Perez called Ocasio-Cortez the Democratic Party’s future is that he fears losing his job. The left tends to cannibalize itself when the younger generation demands socialist outcomes at a faster rate. Instead of heeding the past and ignoring these demands, the leadership and doubles down on this self-defeating insanity. None of this sick, self-defeating cycle among left-wing partisans should surprise us. During the French Revolution--the template for every modern, radical, self-destructive political movement—the liberal reformers established a freer, more equitable system, but clashed with the increasingly radical, upset Jacobins. Where did this dangerous arrogance spring from? A growing secular self-importance, which arose out from the growing split within the Enlightenment movement. Not content to challenge traditions in order to arrive at the truth, these radicals derided and discarded all Western legacies. They wanted tear down everything in order build up something new based on their “enlightened” ideals. The French radicals, the progenitors of Ocasio et al., wanted to create perfected men within an ideal society. Their utopian agenda meant dispensing with God, rejecting Christian revelation (not just Catholic tradition), and inventing a new society by force. Thus came the Terror, and with it the tool to shape this “brave new world”: the Guillotine. Facing foreign invaders without and civilian uprisings within (human nature resists being told what to do, even if it’s “for the common good”), the Revolutionary leaders enacted the Law of Suspects. They arrested and eliminated anyone opposed to their “free and equal” ends. When even Robespierre’s violent confidants thought he was going too far, Robespierre shoved them under the national blade for treason, too. A century later came the Russian Revolution. Lenin’s communist agenda brought forth not just a worker’s revolution, but abolition and then execution of the Russia royal classes. The inevitable infighting followed, which gave Joseph Stalin the upper hand, while his rival Leon Trotsky got an icicle in the chest. The quest for naked power and self-interest among communist agitators will crowd out the push for the common good and egalitarian ends. These left-wing revolutions inevitably collapse upon themselves. And she thinks she is .... so-so Right! Democrats are racing to figure out how to handle Alexandria Ocasio-Cortez, whose primary win over a longtime incumbent is set to shake up the party’s Washington establishment. 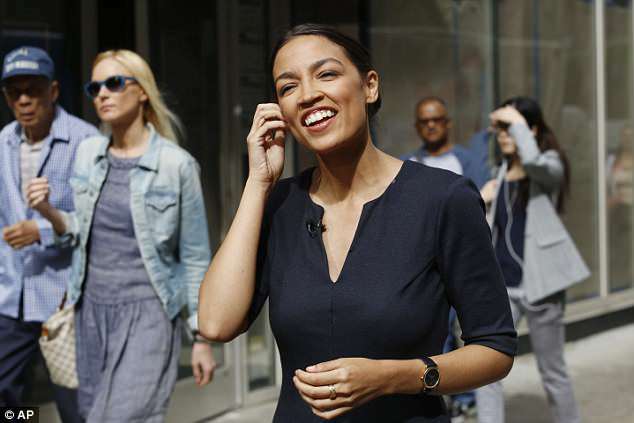 Ocasio-Cortez’s shock victory over Rep. Joseph Crowley (D-N.Y.) made the 28-year-old an overnight sensation in the Big Apple and across the country, leading Democrats to bombard her with messages of congratulations and offers to cooperate in the future. “The entire spectrum of House Democrats, party leadership, [campaign] leadership, is trying to assess what she wants to do and how ready she is to play ball,” said one Democratic source. 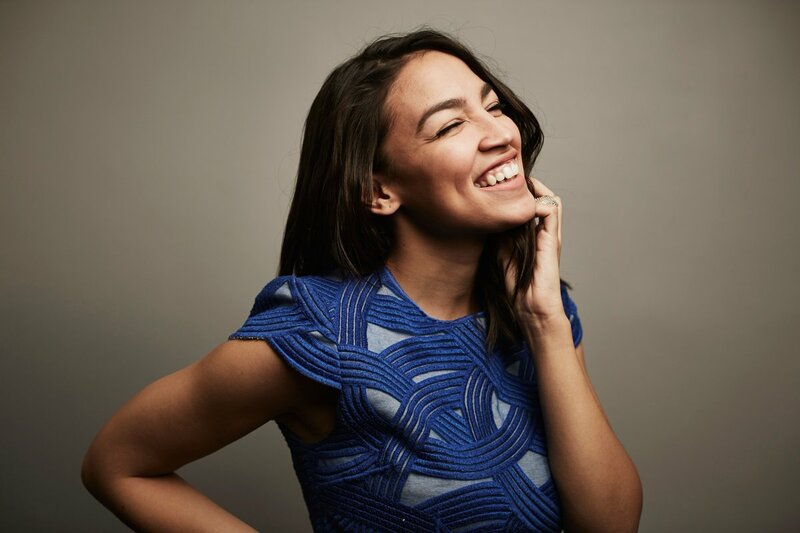 Democrats are largely thrilled to welcome the telegenic rising star to their ranks, though she is already ruffling some feathers. Ocasio-Cortez plans to hit the campaign trail for at least three other Democratic candidates in primary races this year who are backed by Justice Democrats, a PAC that supports progressives. That includes Missouri congressional candidate Cori Bush, a former teacher, registered nurse and pastor who is vying to unseat longtime Democratic Rep. Lacy Clay. "We're trying to take back the House, but it seems like they're just trying to go after Democrats. It makes no sense," said Rep. Gregory Meeks (D-N.Y.), who vigorously defended Clay's work on the Financial Services Committee. "I would hope that the new member coming in would ... keep the eye on the prize." A source close to Ocasio-Cortez said the candidate is not interested in following the conventional Democratic playbook.
. . . “She’s going to be a rock star and a huge progressive force the first day she arrives,” said Khanna, a Bay Area liberal who endorsed both Ocasio-Cortez and Crowley in the primary. Ocasio-Cortez will have enormous political firepower when she gets to Congress. She boasts nearly 700,000 Twitter followers, far more than many members of Congress, and has shown a skill for handling the media. After her victory, her team said it was dealing with 1,000 media requests, and she quickly made the rounds not only on the news shows but in interviews on “The Late Show” with Stephen Colbert. Lawmakers, aware of the clout she may yield, have already been reaching out to ask which caucuses she wants to join, whether she has leadership ambitions and what some of her broad ideas and goals might be, according to a Democratic source. Alexandria Ocasio-Cortez, in a matter of weeks, has gone from being a little-known activist to a liberal sensation and highly sought-after national figure after riding a Bernie Sanders-inspired anti-establishment message to a stunning victory over Rep. Joe Crowley in New York City. The 28-year-old self-identified socialist also has miffed some Democrats with her support of primary challengers to incumbents, her assertion that Mr. Crowley was scheming to keep his House seat, and her charge that the party must pursue a more aggressively left-wing agenda, which moderates fear could dent their chances of taking control of the House in the midterm elections. Former Sen. Joe Lieberman of Connecticut said Ms. Ocasio-Cortez’s victory “seems likely to hurt Congress, America, and the Democratic Party” and urging Mr. Crowley to go all-in on a third party bid. “Because the policies Ms. Ocasio-Cortez advocates are so far from the mainstream, her election in November would make it harder for Congress to stop fighting and starting fixing problems,” said Mr. Lieberman, the party’s 2000 vice-presidential nominee, in a Wall Street Journal op-ed. “Republicans are calling Ms. Ocasio-Cortez the ‘new face’ of the Democratic Party,” Mr. Lieberman wrote, adding that House Minority Leader Nancy Pelosi has been smart to downplay Ms. Ocasio-Cortez rise as a single event. In an embarrassing gaffe that is being ridiculed by left and right, far left New York candidate Alexandria Ocasio-Cortez accidentally misidentified what party she is campaigning for. But red is typically considered the color signifying the Republican party, while blue is considered the color signifying the Democrat party, so Ocasio-Cortez was saying that she was going to help Republicans win the seat. They may have to defeat her (the Dems). if they want a Future. Included in its report were a dozen big-picture policy recommendations — such as adopting a robust apprenticeship program and expanded unemployment insurance to help workers find new jobs — and encouragement to bypass talk of income inequality for an emphasis on creating opportunity. “Once again, the time has come to mend, but not end, capitalism for a new era,” said Jonathan Cowan, Third Way’s president, in a sweeping speech outlining his group’s study.
. . . Many of those in attendance were careful not to directly criticize Ocasio-Cortez, saying they welcomed the new energy she was bringing into the party. But they also made clear that they thought her style of politics would be a difficult sell outside of her New York City congressional district, where the party must try to win over more conservative voters. Other Democrats in attendance were harsher in their assessments of the party’s liberal wing. “A small but vocal subgroup that is unhinged from evidence will be wrong in the long run, regardless of how loud they are,” said Iowa state Sen. Jeff Danielson, in an interview. Danielson hails from a conservative-leaning district in northeast Iowa and says he’s managed to win re-election there by adopting an approach similar to the one advocated by Third Way. Many of his constituents would see Ocasio-Cortez’s agenda and think it amounted to nothing more than a “grievance list,” he said. Democracy: The God that Failed? Many naïve minds on the Left make the mistake of asserting that Ocasio’s democratic socialism is something novel and bringing about socialist policies by democratic means, instead of authoritarian takeovers as in the Soviet case, will somehow avoid the pitfalls of socialism. Frankly, such an assumption is wishful thinking. Harebrained socialist policies such as price controls will have the same effect—shortages—regardless if they were approved by a voter referendum or implemented by dictatorial fiat. Democracies are not magical political systems exempt from economic and political downturns. In fact, democracies with very little institutional checks and balances can devolve into systems where property rights are put on the chopping block and mob rule becomes the order of the day. As avid students of history know, some of the Founding Fathers were justified in their skepticism towardsdemocracy . The Athenian case of democracy, albeit limited by today’s standards, was a story of an innovative political system that eventually succumbed to tyranny after Athens engaged in numerous military adventures and grandiose spending programs—all which were approved by the rubber stamp of democracy. For that reason, the Founders championed more of a republican model of governance with several democratic features, but ultimately buttressed with strong checks and balances and competitive federalism. The 20th century has witnessed the Founding Father’s original vision wither away in favor of a managerial state that gets constant democratic seals of approval at all levels of government to justify overreach. 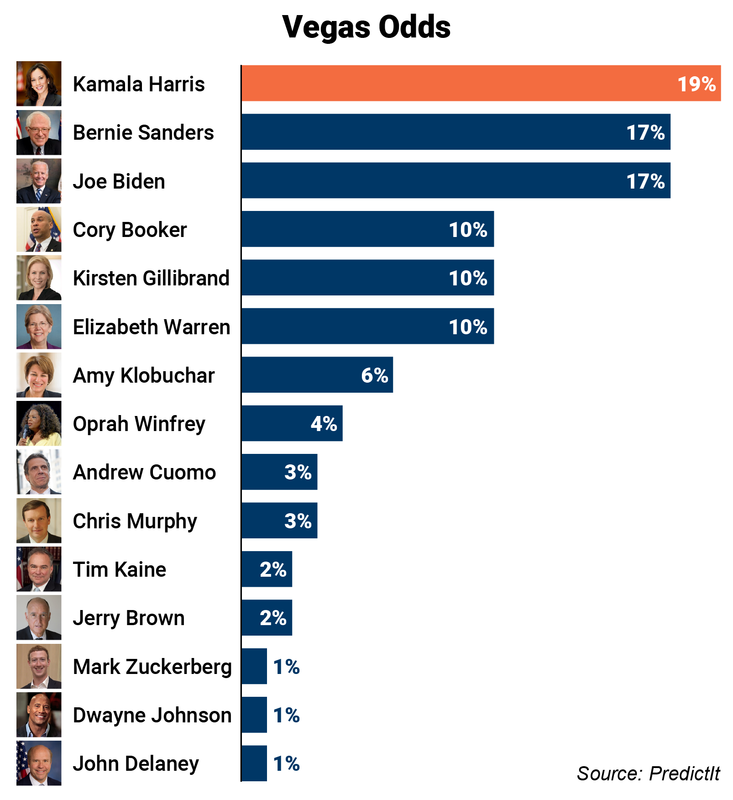 In fact, Ocasio’s rise to prominence is no hack of the system. It is the logical end result of multiple generations acclimating to expansive government expansion.